The temporomandibular joints (TMJ), which connect the lower jaw to the base of the skull, may be the reason an estimated 50 million people suffer from chronic headache, earache, and facial pain. No other joints are subject to such a precise discipline as that of the meeting and biting of the teeth. Symptoms frequently associated with this problem are popping, clicking, or grinding noises of the jaw joints when eating or opening the mouth, soreness and limitation of opening the mouth, stiffness of the neck and shoulders, ringing of the ears, dizziness, nausea and periodic blurriness of vision. The bizarre and seemingly unrelated combination of symtoms makes diagnosis difficult for both the medical and dental communities since many other diseases may cause similar symtoms. The cause, in most cases, is a disharmony of joints, muscles and teeth. Emotional stress, which may cause an increase in clenching and grinding of the teeth, is seen as a common co-factor. A muscle or skeletal imbalance can occur as the result of improper jaw development, misalignment of the teeth, a blow to the face, loss of teeth, recent dental work, improper oral habits, and even poor body posture. Wondering if your symptoms might be caused by TMJ/TMD? If you would like to know more, check out TMJFacts.com. Better yet, set up a time for an exam and consultation with Dr. Larson at Larson Orthodontics. Dr. Robert Larson has a special interest in the diagnosis and treatment of TMJ/TMD. 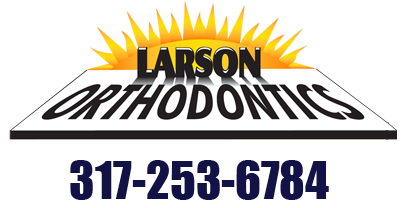 Schedule an appointment for a consultation and exam with Larson Orthodontics.